Are you looking for a natural, effective method of contraception while you are nursing your infant? If so, then you may be a good candidate for what is known as the lactational amenorrhea method of birth control, sometimes referred to as LAM. LAM works because the hormone known as prolactin that helps your body produce milk also works to suppress the release of fertility hormones. So if you are nursing an infant regularly, your body will naturally decrease its ability to release fertile eggs. LAM is considered a reliable birth control method if you are able to meet three conditions: 1) Your infant is six months old or younger; 2) You are nursing your baby round the clock, on demand; and 3) Your regular menstrual period has not yet returned (bleeding and spotting in the weeks after birth would not count toward this condition). If you can say “yes” to all three of these conditions, LAM can work for you with a less than two percent chance of your becoming pregnant. However, as soon as any of these three preconditions changes, LAM will become less effective. LAM is, by definition, a short-term method of birth control, given that it is used when infants are six months old or less. In order for LAM to be fully effective, you should nurse your baby exclusively and not rely on supplementing with formula. 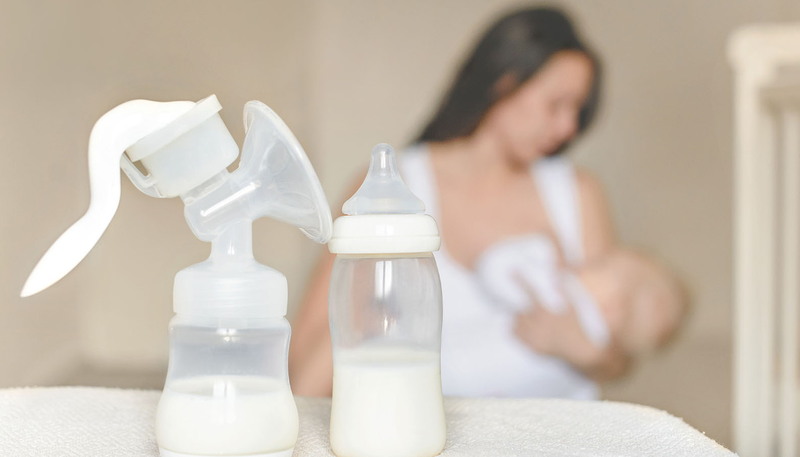 As soon as your baby reaches the age when she is ready to start eating cereals and other solid foods, she will most likely reduce the amount that she nurses, making LAM less effective. Additionally, when your baby begins sleeping for longer stretches – and eventually sleeping through the night – she will not be relying on you for round-the-clock nutrition. This will also interfere with the effectiveness of LAM. Some women are able to extend the amount of time they are able to rely on LAM by co-sleeping and continuing to nurse through the night even after the baby reaches six months. They also continue nursing the same amount and make solid foods an addition to, rather than a substitution for, breastfeeding. By keeping their nursing activity high, some mothers are able to continue LAM for as long as 14 months. However, the most important precondition of LAM is “amenorrhea” – which refers to the lack of a menstrual period. Once you have passed through the first three months post-partum (and finished with the post-partum bleeding), your period may return any time. When you experience two consecutive days of bleeding and/or spotting, you should assume that your menstrual cycle has restarted, and LAM is no longer reliable. However, those moms who are able to use LAM during those early days with their babies say that it combines the best of both worlds: You can enjoy this special time with your baby and your partner with the confidence that you are using your body’s natural method of family planning.